From there, he returns to Cairo where he is both morally sickened by the deaths he is to blame for, but also fiercely drawn to the cause of the Arabs, despite their interests not always aligning with the interests of his own country. While few are as brave, adventurous and history-making as T. E. Lawrence, most of us have shared this feeling of being changed, having our loyalties divided, and wondering what to do next. It’s not all camel riding adventure. But, the world of the “romantic internationalist” is not always glamorous. We all — even Lawrence of Arabia — also have our share of tediously boring days abroad waiting for something to happen or for the chance to make something happen. T.E. Lawrence: Michael George Hartley, this is a nasty, dark little room. T.E. Lawrence: We are not happy in it. Hartley: It’s better than a nasty, dark little trench. T.E. Lawrence: Then you’re an ignoble fellow. There are plenty of expat days spent waiting for things to happen: waiting in the small hotel room on first arrival for life to re-start, waiting in an empty apartment for the telephone/cable/internet engineer, waiting for decisions to be made by unseen people that will influence next options. This waiting for the adventure to begin (or change) is a “nasty, dark little room” that none of us are happy to be in. Sometimes we’re happy to stick our heads in the sand. But honestly sometimes, we’d also just like to be “Hartley” and keep things as “safe” and “normal” as possible. Aren’t there some evenings when you simply want to watch an old TV show while eating imported ice cream, rather than venture out to that hole-in-the-wall down that street with no English menu that’s supposed to be very tasty? The film. 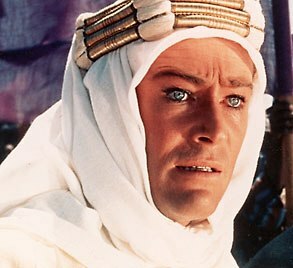 “Lawrence of Arabia” (1962) stars Peter O’Toole, was directed by David Lean and won almost every Academy Award (including Best Picture) in the year it was released. The cinematography is epically beautiful and T. E. Lawrence’s story is gripping. 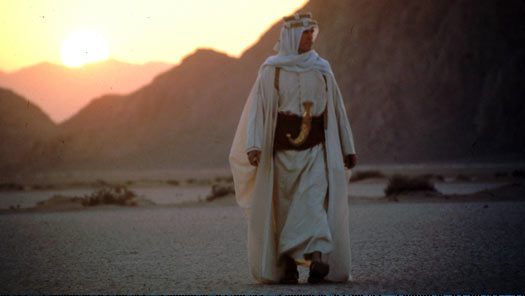 Re-watching “Lawrence of Arabia” as an expat is to see this classic film through fresh eyes. Make a night of it. 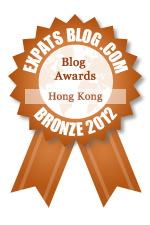 Tags: expat, film, Lawrence of Arabia, living abroad, movie, self-identity, who are you? ← The Horror! Of Chinese Mainlanders, right here in Repulse Bay! I see that you are a non-practicing lawyer and have lived in many place abroad. What has taken you there? Oh right, I guess I’ve never really fully explained “who I am?” and what am I doing overseas? Good question. Strangely enough, we moved (and continue to move) for my husband’s work (as an engineer for an international company). This is despite that I was the one with the internationally-focused job. Before moving, and for the first half of our time abroad, I worked for, Landesa, a non-profit law firm dedicated to securing land rights for the rural poor in Asia and Africa. I left paid-employment when time zones, children and life, complicated conference calls and international travel. I am currently a part-time student of statistics. Just having my life compared to Lawrence of Arabia made my day! From a bored lady of leisure–thanks for that! Happy to make your re-entry into Singapore just a little more sunny! I hadn’t thought about “Lawrence” as an expat/assimilation movie before, but it is the urtext of “going native,” isn’t it? I doubt I’ll ever settle on one national identity (having always had at least two) but I do know that when I go stateside and see my best friend for the first time, it’s likely he’ll yell “Orance!” Ever since I took him to see “LoA” on the big screen years ago, he’s taken to calling out to me as Sharif did to O’Toole. I’ve been called worse. Ah, another lover of LoA! Watching it over Christmas, so much of it struck a chord with me as an expat. But then seeing the expat experience reflected everywhere I look is probably due to the Baader-Meinhof phenomenon, which I learned of from you! LoA is one of my favourite movies, in part I think because I’ve lived in the region. Your analysis is spot on. Thanks for such an enjoyable post! Thanks so much Judy! Glad to hear you enjoyed it.